The appearance in New York and a chance to present the Croatian film heritage and recent film production in a prestigious space of Lincoln Center is enormously important to: our film production. 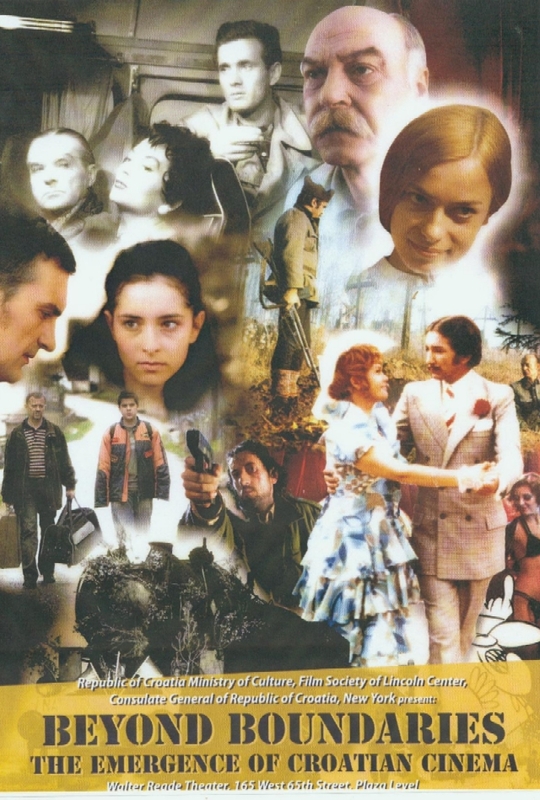 The Croatian film production - although small in size- is vital, and very versatile in the terms of genre, themes and style, which has been recognized at numerous international film festivals at which, for the last couple of years, they have won important awards. Croatia is the homeland of the Zaqreh School of Animated Film which has, from the 5Os to the 8Os of the 20th century, made a significant breakthrough from the production of that period, creating a number of cartoons with modern and modernistic animation expressions, During that period the Zagreb school films won several hundreds of awards including the Academy Award for the animation film The Ersatz by Dusan Vukotic Many actors, such as Goran Visnjic, come from Croatia; Croatia is the homeland of the director Goran Dukic as well as the famous producer or Branko Lustig who is one of the initiators of the Croatian Film Series in Lincoln Center. The production we are going to show during this manifestation includes films that range from those testifying about the modernist movement of the '60s and '70s of the last century to those reflecting the turbulent political times after the fail of the Berlin wail. We are putting special emphasis on current production in order to show you what the Croatian film of today really is and in order to reveal to you a part of the Croatian reality with firm belief it will no intriguing and interesting for you.